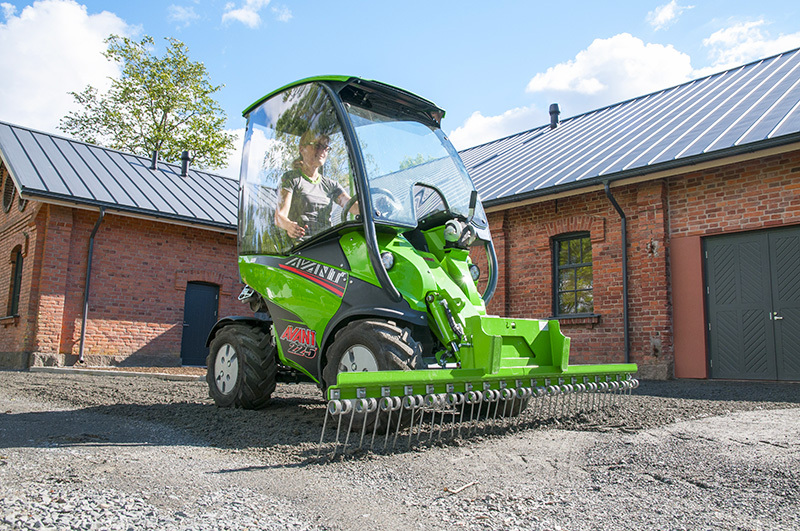 Front rake is an uncomplicated and economical attachment for levelling of sand and gravel driveways, anywhere you want to have a nice looking finish. 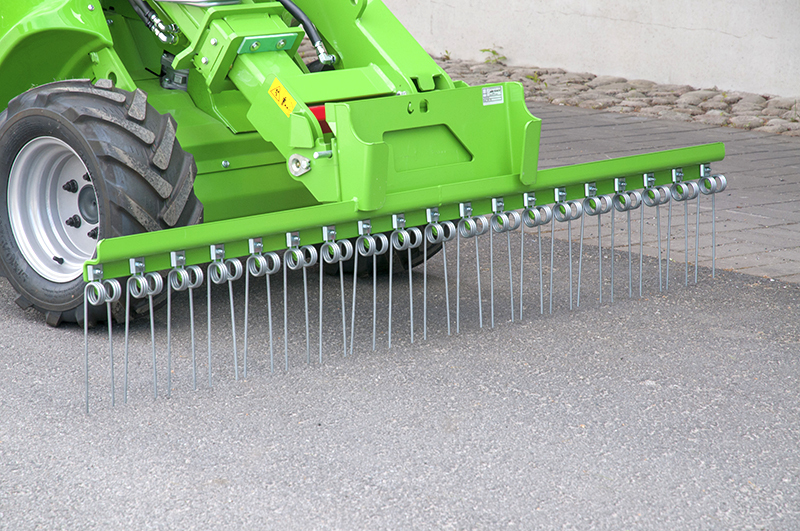 The spring loaded tines rake and level the ground efficiently. 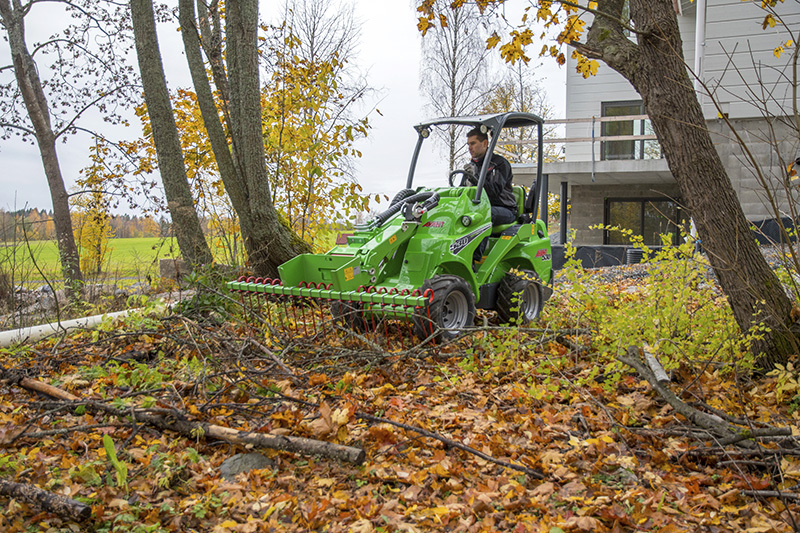 The rake can also be used for loosening and levelling of uneven soils. Works on soils as well. 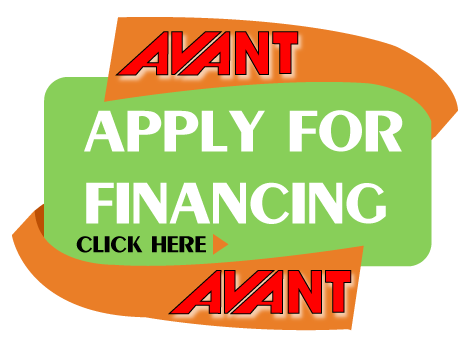 Can be mounted on all Avant models. 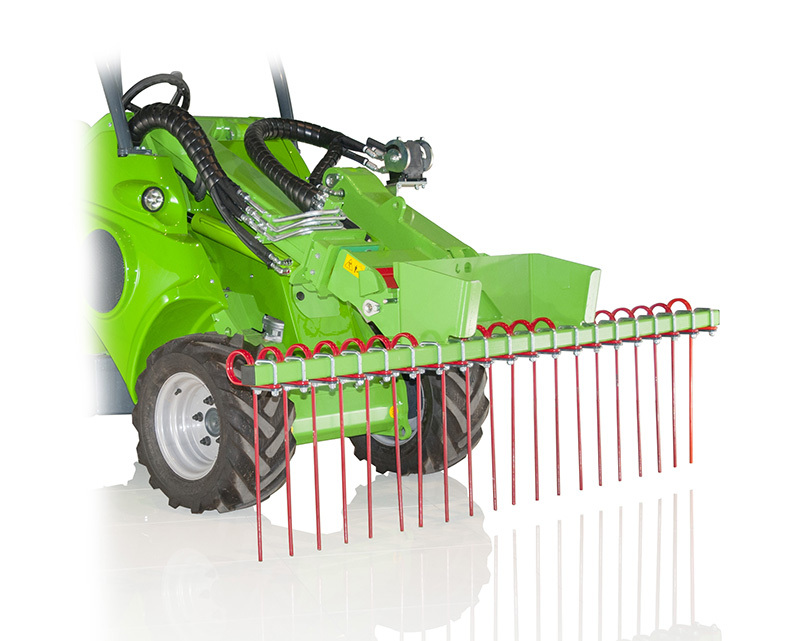 The front rake is also available with stronger tines which will collect branches etc. 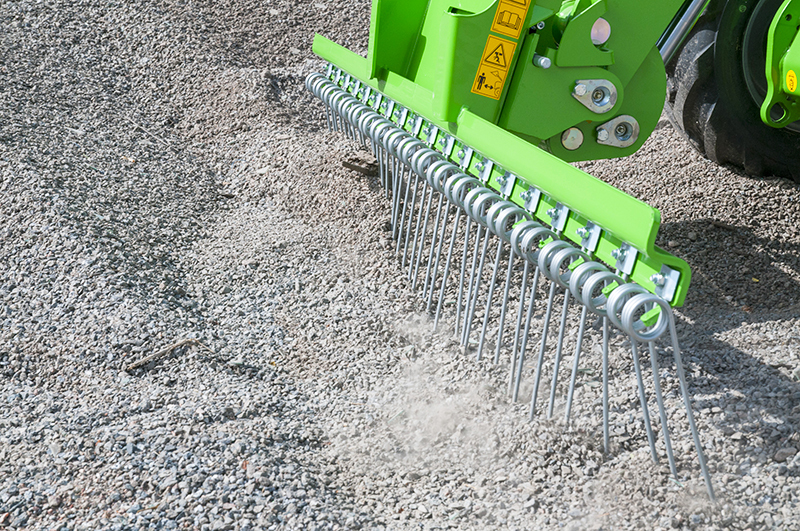 heavier material when levelling the ground.